He was born in the 35th century, when the earth was dying from environment disasters. As the last hope for humanity, he was chosen to be sent back to change history. However, when being hurtled back through time, he was buffeted by the time-stream and suffused with empyrean fire -- the primal energy of both space and time. I was a little disappointed with the DC 9" Superman. So, instead of putting a lot of effort into fixing him, I decided to make a Superman knock-off. After receiving a new Famous Cover Magneto the choice became clear. 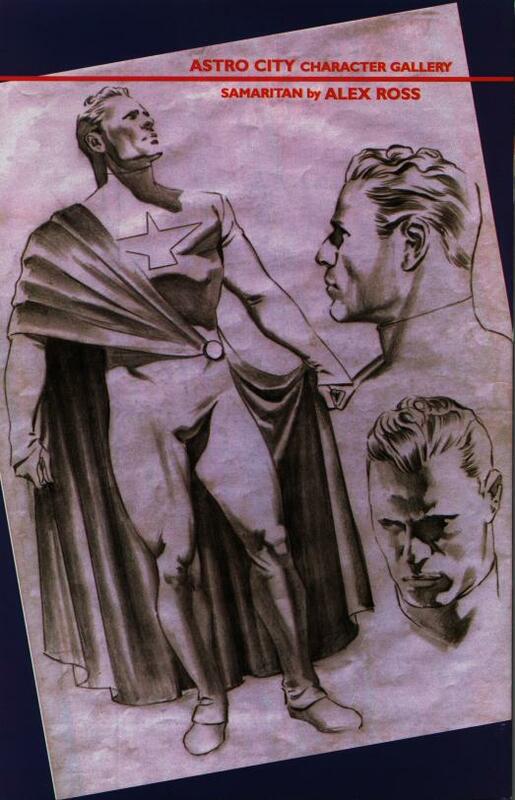 Here is the a Famous Cover Samaritan, based on his appearance in Astro City #1 (see below). He started out as Magneto. Under Magneto's cape and chest piece is a plain red m2 suit! I removed Magneto's bushy eyebrows and repainted them and the hair. Samaritan's cape turn out to be quiet tricky. After a number of attempts I finally got one I liked. The cape clasps are paper fasteners. 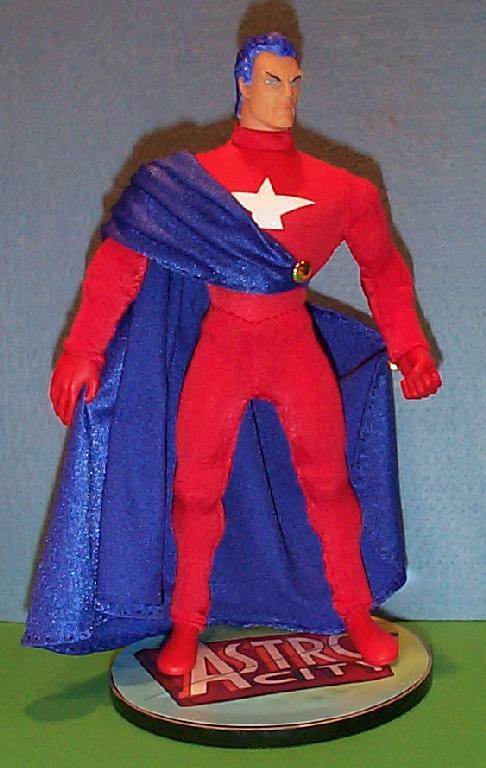 Samaritan's red boots are from a 9" DC Superman. The DC boots have a slightly longer peg than a FC foot, so I drilled into the leg a little to make room. A nice thing about using the DC boots, is that is allows him to also use the DC stands. I designed an Astro City stand for the Samaritan to pose. I'm thinking of re-doing my Silver Surfer to use the DC boot/foot since he doesn't have any toes! Would probably also work well for a Plastic Man custom. I really think the Samaritan makes a striking figure with the primary red and blue coloring. I like to thank my wife for helping me with the Samaritan photo! 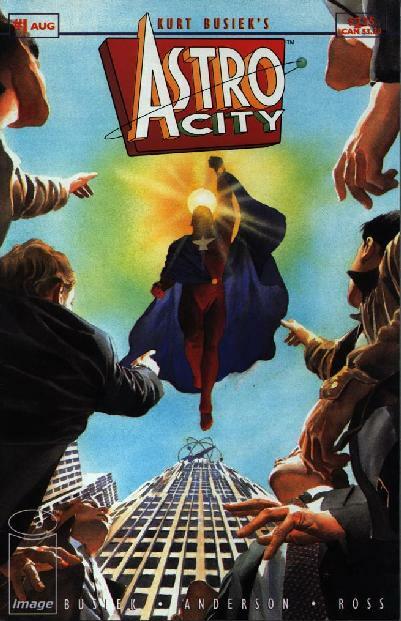 Astro City #1 featuring an Alex Ross painting of Samaritan. The back of the first issue shows the character design. The cape is an extreme stylization of a Greek toga.